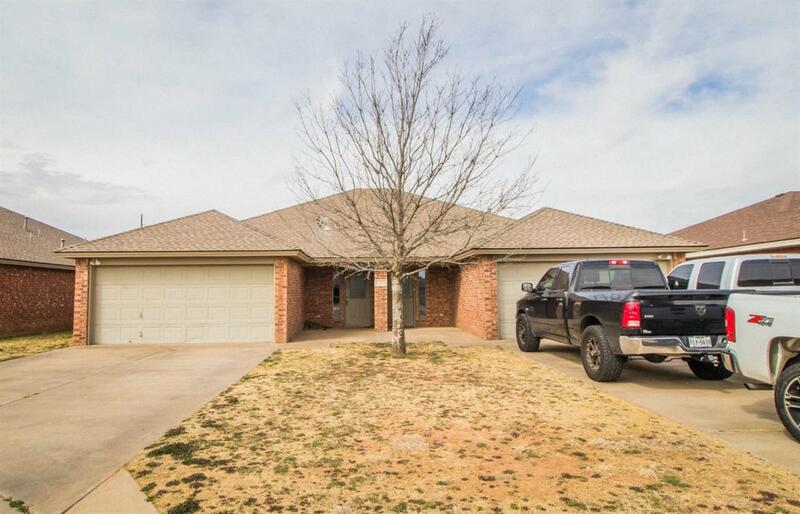 This 6 bedroom, 6 bath, 2 car garage duplex is located in the Turning point community/ Northwest Lubbock near Frankford in desirable Frenship ISD. Priced well below new construction and replacement cost. Each unit is 3 Bed / 3 Bath / 2 car garage. Easy access to Loop 289. Located near retail and entertainment options. Side A Leased for a year until 4/3/20 for $925, Side B is rented for $875 lease expires 12/19. Photos are of a similar property 803 Evanston. All utilities paid by tenant.